We enable Creativity and Play. Our designers, educators and toy experts engage kids' innate curiosity and imagination through awe-inspiring interactions that are kid adored and parent approved. Kids are our greatest inspiration. We regularly look to our toy and app testers to help us understand what works and what needs a bit more work. In the world of play, kids are our experts. Our team of inventors is known for delivering award-winning toys for over 20 years. Rooted in this history, we have a wealth of kid and play knowledge, from child development stages to the hottest toy trends. We're proud to collaborate with top kids brands. Kids love these brands for their play value. Parents respect them for their reputable quality and integrity. 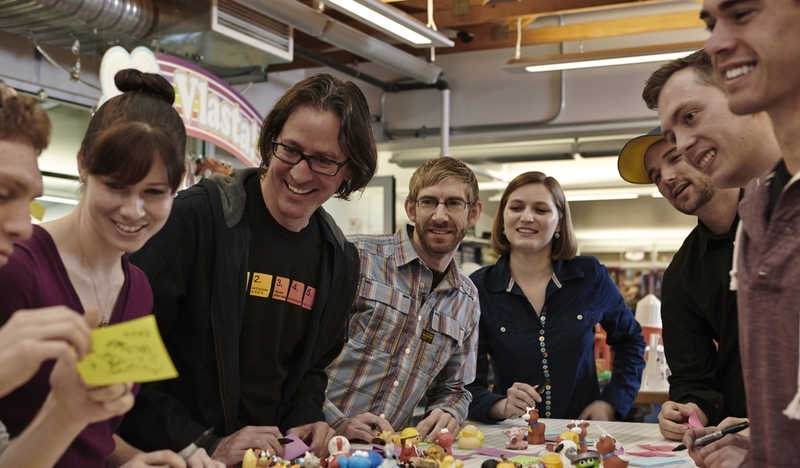 We're honored to create great toys and apps together.